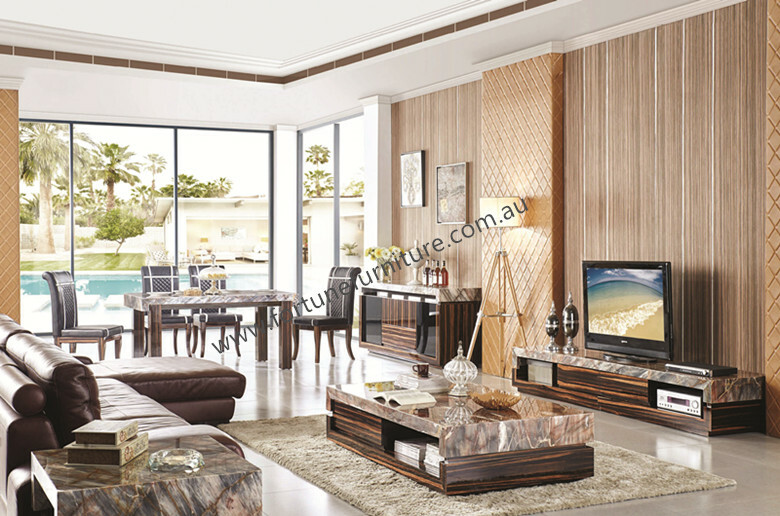 Dallas is very classy modern design that can give more life to your living room. Its made up from tempered glass plus coated painting with solid oak wood drawers. Description: The Alice 182 Living sets has a gorgeous marble top and unique shape that is both modern and timeless. The elegant Rose gold base can be change into stainless steel. 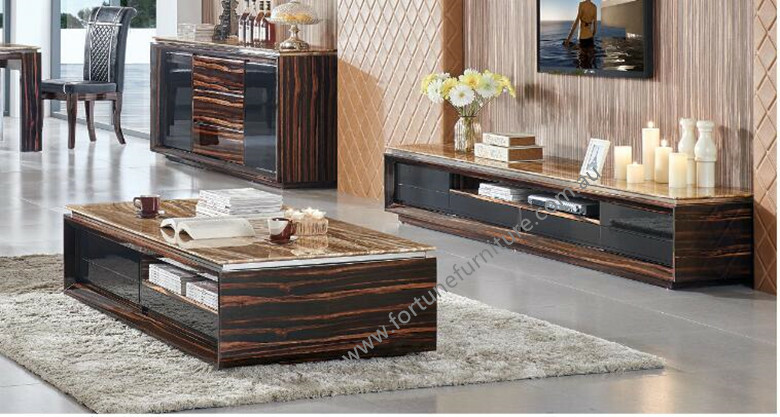 Description: this sophisticated Collection of Connie TV unit and coffee table set is lovingly made in marble and solid base with some storage. The Extension stools on both side makes Connie more flexible in size. Besides, Connie 062 coffee table have 2 stools and 4 drawers designs . These makes Connie not only stylish but practical as well . Stocks are available in Real Italian marble White and Artificial marble Cream. Style and substance. 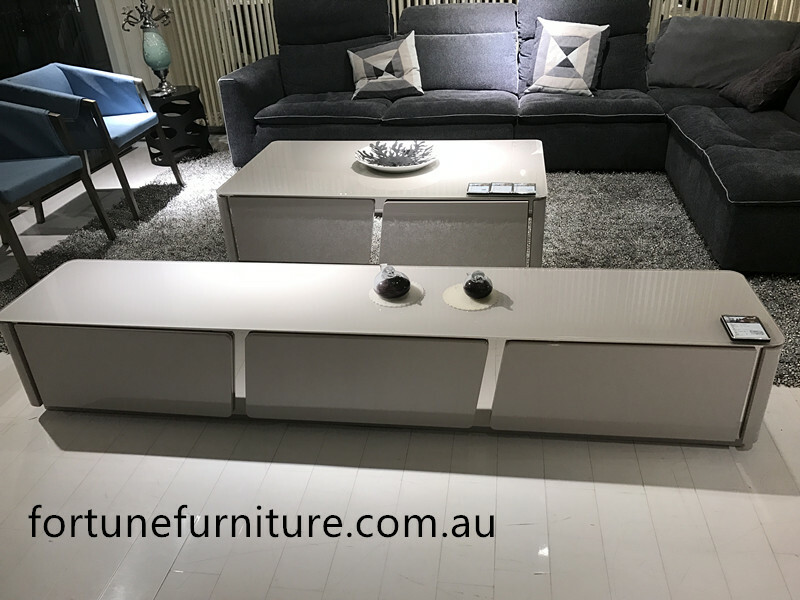 With the modern Lacee collection of living, TV unit and coffee table furniture that you fall in love with it will add a fresh note to your living room. Model: Balea 501 TV unit / coffee table and lamp table. 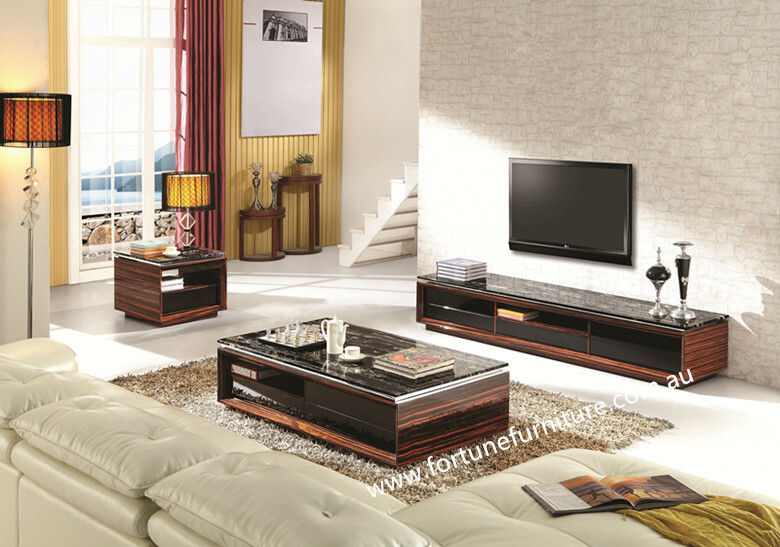 Description: The Balea 501 TV unit and coffee table is balanced with sophistication and practicality. 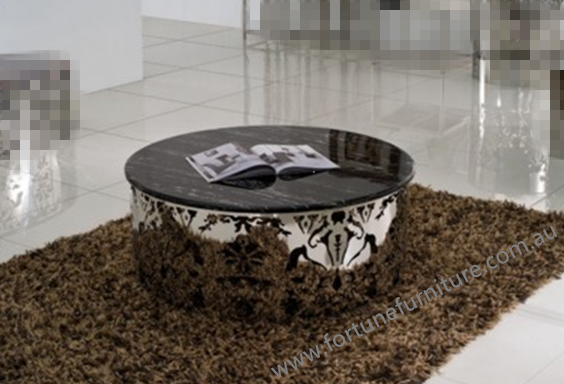 It has all the essential features of a coffee table in a modern look. Feature natural marble top and supported by beautiful elbony timber base finish. It blends all of these with generous shelve compartment and drawers for plenty of storage space. This coffee table,TV unit and lamp table is the perfect blend for the modern day home. Description :Hanna 2809 Deluxe is thoughtfully & elegantly designed and skillfully handcrafted by our stone masons and carpenters. The Hanna 2809 Deluxe Living set includes TV unit and Coffee table in natural marble and timber legs with drawer as a storage . There is nothing like beautiful marble furniture. 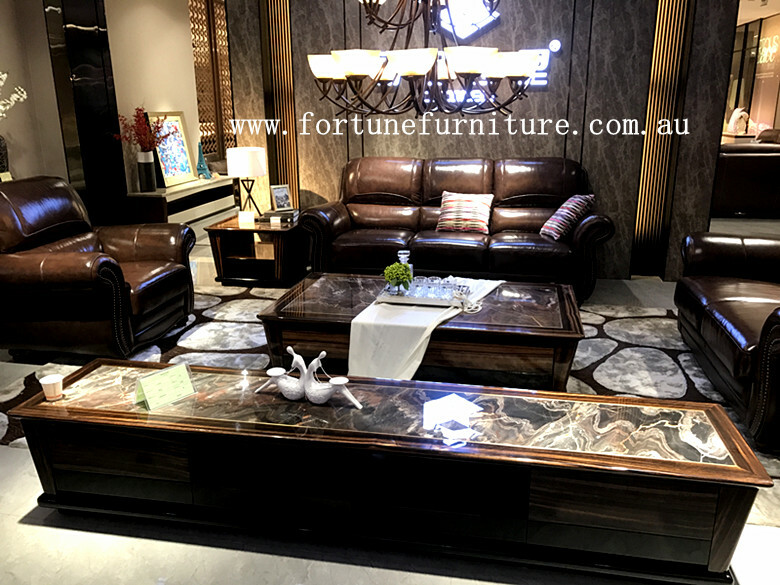 Our marble furniture will bring a touch of class and elegance to any space. Deacription : Featuring a modern design and strong Vena Deluxe TV unit and Coffee table in Marble and Timber base. The Vena Entertainment Unit delivers a style statement to your lounge room. Offering ample storage space you can keep your space clutter free without compromising on style. 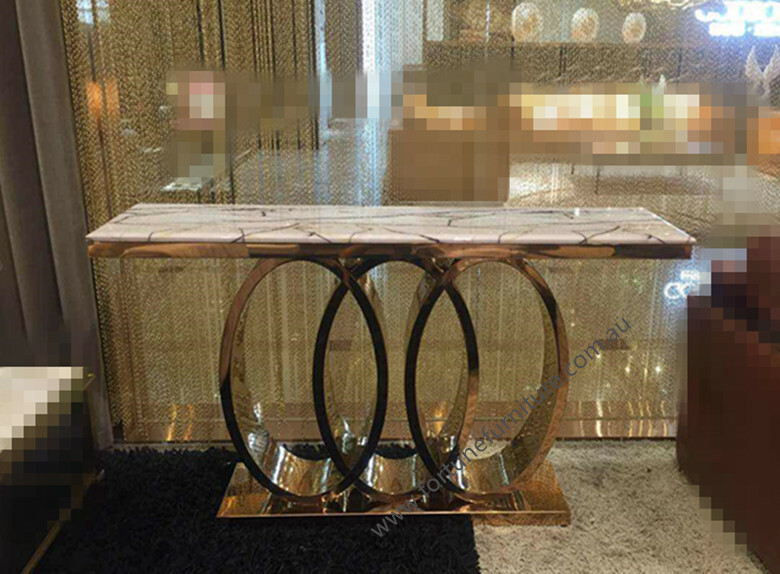 For a sophisticated look with a glamorous edge,the Grace 983 Console offers the sleek combination of Italian marble and rose gold frame. stock availability: stocks available as picture . 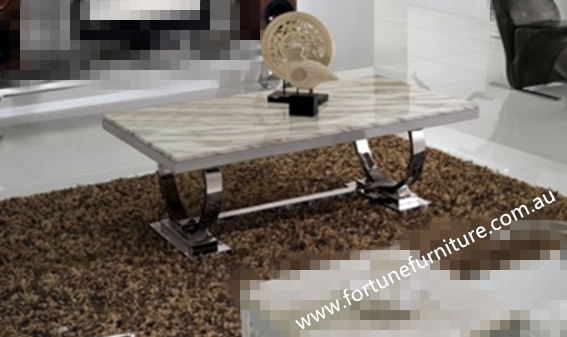 This linda coffee table comes with artificial marble top and stylish stainless steel contemporary legs. It's easy to clean, this coffee table is of great classic beauty and timeless elegance. Features : TV unit : The Bora Lowline Entertainment Unit features a unique design with Marble look Glass top.Ideal to display your TV, the Bora Lowline Entertainment Unit also features plenty of space underneath for consoles, games and DVD’s. 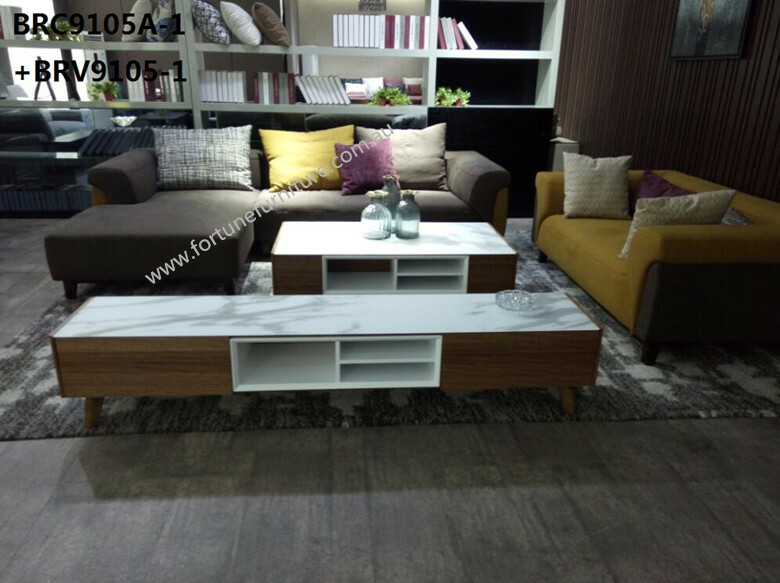 Cofee Table : Clean lines and angled legs combine to create that charm that is so appealing in any modern design aesthetic.The Bora Coffee tables also features space for storage and its marble look glass top Make it look more elegant.